On Friday, (March 16), an adult female stole a cellular phone and wallet that was inadvertently left on a Hilo Store aisle display table by a customer. The incident was captured on video surveillance cameras. 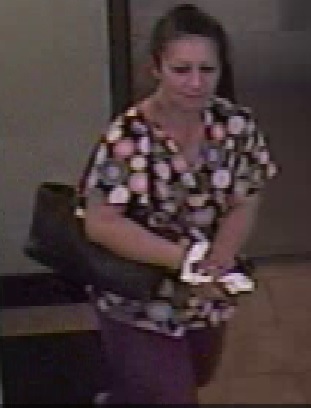 The female is described as being in her mid to early 40’s with a medium build and complexion, dark color hair. Police ask anyone who knows the identity of this person in the photo to call the Police Department’s non-emergency line at (808) 935-3311 or Officer Sheldon Adviento at (808) 961-2213.